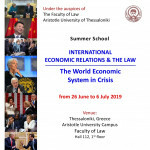 At a time in which the world’s economic system is being challenged with regard to its operative effectiveness and institutional representativeness, our Foundation’s Fifth International Law Summer Courses entitled “International Economic Relations and the Law: the World Economic System in Crisis” will investigate a number of the principal causes and effects which seem to drive contemporary international economic State relations to disruption. An international faculty of eminent academics and experts in the field will analyze and discuss from a legal (and political) point of view various aspects and issues of the above general theme including: the Multilateral Trading System, China’s Role in the World Trading System, the European Union as a Leading Power in the World Economy, International Investments and Financing for Development, the Global Debt Issue and Sovereign Debt Crises, as well as International Financial Institutions and their impact on Human Rights. Participating students will also be trained in conducting multilateral negotiations and will participate at the end of the courses in a simulation case. “Constantopoulos’ Hall” (Hall 112), Faculty of Law, first floor. 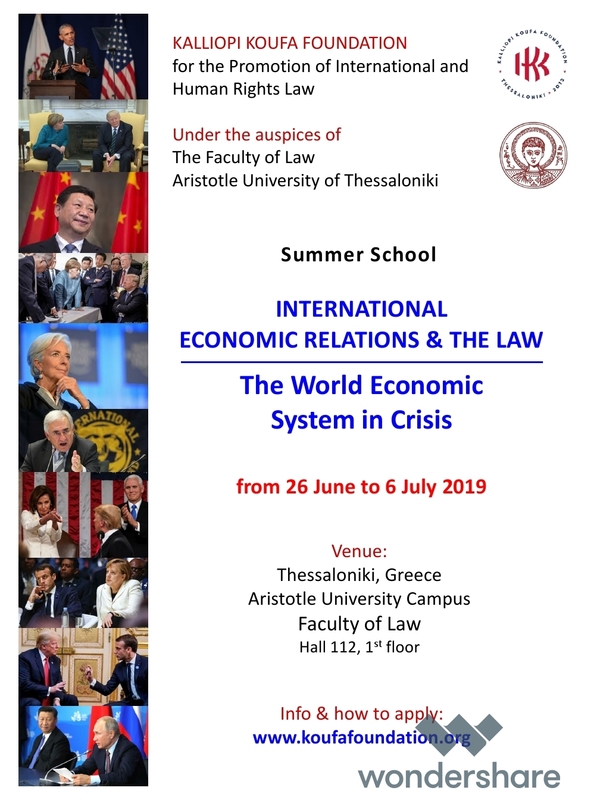 Participants will have access to the library of the Faculty of Law of the Aristotle University of Thessaloniki and will be invited to prepare a research paper to be published, according to merit, in our site. The timetable to be announced later.